There are some things that are good in God that otherwise aren’t…like, for example, bearing a yoke, being the least of these, and or living in the shadows. In the Lord, a yoke is good and easy. Being least is a quality of humility and selfless love that gives Him glory. And living in the shadows…well, it depends on whose shadow we’re talking about. But living in the shadow of God is quite the opposite. We read over and over again in Scripture, particularly in Psalms, about taking refuge in the shadow of His wings. What’s so different about this shadow? We first read about being under God’s “wings” in Deuteronomy 32:11 in the song of Moses. The words come as a part of the tale of how God guided and cared for Moses. 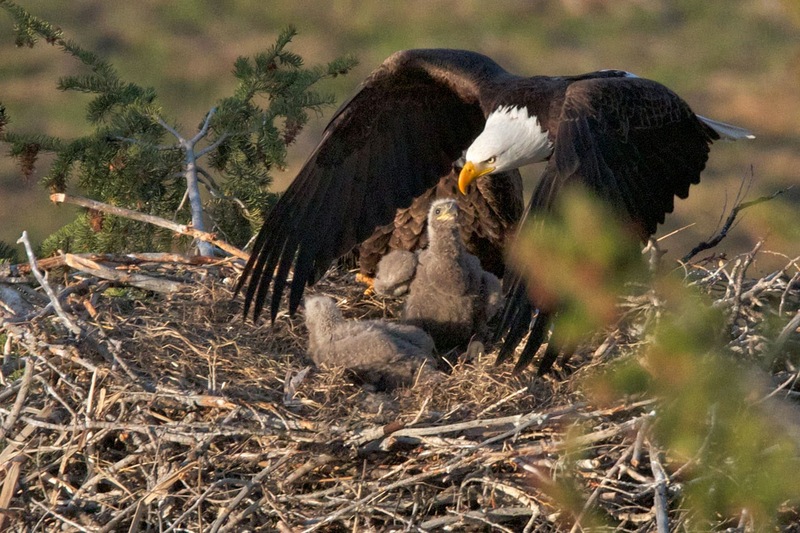 Have you seen how an eagle cares for its young and teaches them to fly? 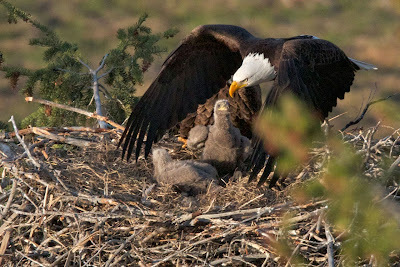 Eagles hover over their children, keeping them close and safe. Stirring them up, eagles encourage their children to fly but they never leave them. Their young are always in the shadow of their wing and are caught and carried when they grow weary or falter. I will put my trust in the shelter of your wings, the Psalmist says. I will, as chasah means, confide in your presence and trust in you for safety, we read. Based on the word chasah, we know that taking refuge in the shadow of His wings calls us to go aside from our usual places of fear and self and this world to the place of hoping and resting fully in Him. Worthy of our praise and giving us the peace that we are indeed safe from all harm, we find ourselves in such joy that we sing. When we’re under His watchful, faithful covering, we have reason and space to sing! His guarding us and keeping us close isn’t mere obligation or instinct. The Lord’s love is far more perfect and sweet than that. Living in the shadows, or rather, someone else’s shadow, isn’t so bad when the shadow is the Lord’s. He is greater. The shadow He casts isn’t one we’ll ever measure up, and His isn’t over-reaching. We find the guidance, safety, hope, joy, and the love that we need to be who we are in the Lord when we are in His presence –and to be in His presence is to be in His shadow, under His wing. Hebrews 12:9 reminds us: “Moreover, we have all had human fathers who disciplined us and we respected them for it. How much more should we submit to the Father of spirits and live!” To be under His wing is to be in His care, treated as one of His young. There’s no better place to be. This post is being shared on: #TestimonyTuesday, #RaRaLinkup, Intentionally Pursuing,Titus2sday, Esther Girl, Thought-Provoking Thursday, and Faith-Filled Friday. This is so great! I love all the scriptures you referenced too. Thanks for writing :) Visiting from the RaraLinkup today! I'm not used to being in anyone's shadow, but that describes my life as a youth pastor's wife. But you've reminded me that we are merely second compared to the Lord. Thanks for you encouraging words and for visiting from #RaRaLinkUp and #TestimonyTuesday. Yes! How I love this post, Bethany... His shadow is a place of restoration and protection! I really needed this today, for my whole week to be honest, and your words remind me to keep dwelling there, tucked into Him! Aw, Christine, thank you! I needed it too -this wasn't the post I planned on writing but then as I was reading His Word the phrase popped out and grabbed my heart too. His presence is the best. Love it and grateful for you! My heart has been dwelling on the presence of God and then I read this. There is power found in the holy dwelling place of God's mighty presence. Here, he confirms, strengthens and protects our resolve in him. I love how you go so in depth to instruct my soul. Thank you for this. Cheering you on from the #RaRalinkup on Purposefulfaith.com. Thank you so much Kelly -I love when the Lord lines up timing to reinforce what He has laid on our hearts! Thank you Crystal for hosting and reading :) Love being in His presence with fellow blogging Jesus-loving women like yourself!